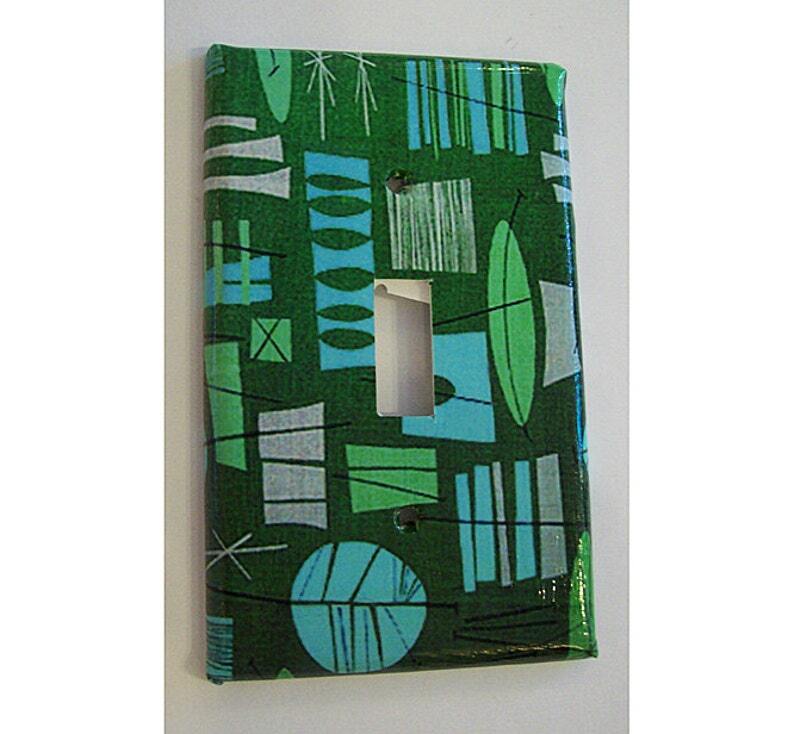 Add some instant mid century flair to your walls with one of my atomic era light switch plate covers! Nothing says The 1950s rockabilly kitsch quite like a wacky geometric pattern. I make my light switch plates with decoupage medium and polyurethane so the end result is a semi glossy surface that is easy to wipe clean. I can make this as either a standard sized single or double toggle switch. Please choose the size desired from the pull down menu. You may have your light switch plate made from any of the patterns shown in the photos. Please be sure to write me a note during checkout telling me which image you would like. If no note is written I will assume that you would like the green switch plate seen in the first picture. I Love these switch plates.